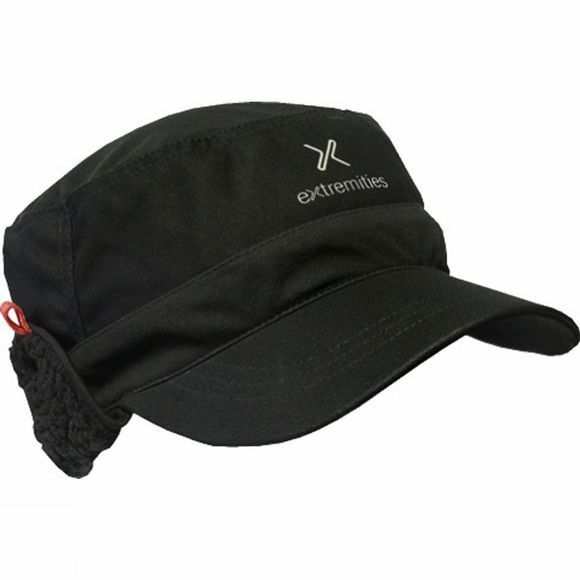 A legionnaire-style hat with ear and neck cover, made from WINDSTOPPER soft shell fabric and thick pile-fleece. The brim keeps snow out of your eyes while the ears can be folded up and clipped in place for use in warmer weather. Lovely! The WINDSTOPPER membrane system provides a windproof barrier that is extremely breathable, preventing cold winds from cutting through the fabric whilst preventing overheating by allowing excess heat to escape.